In all the history that it’s jammed into a school education very little of it involves plants. You get the big names quickly glanced over as you go through the history of the United States. 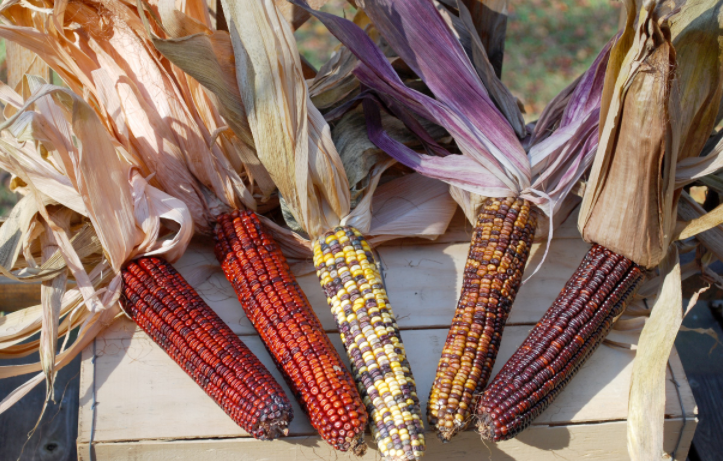 The Native Americans cultivated corn, beans, and squash and shared them with the Pilgrims. 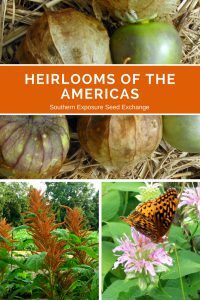 There may even be a mention of the “three sisters garden.” Tobacco and cotton will also be mentioned but on a whole the role of plants in history is largely understated. Though it may be poorly recorded there is more to American history than conquests, battles, and political upheaval. There’s all the everyday folks and the plants that sustained them and they’re important too. Knowing where crops came from can better connect us with the land, history, and culture. These are some of the plants that evolved in the Americas along side its people and will continue to grow and evolve to face the changing world if we continue to protect them. 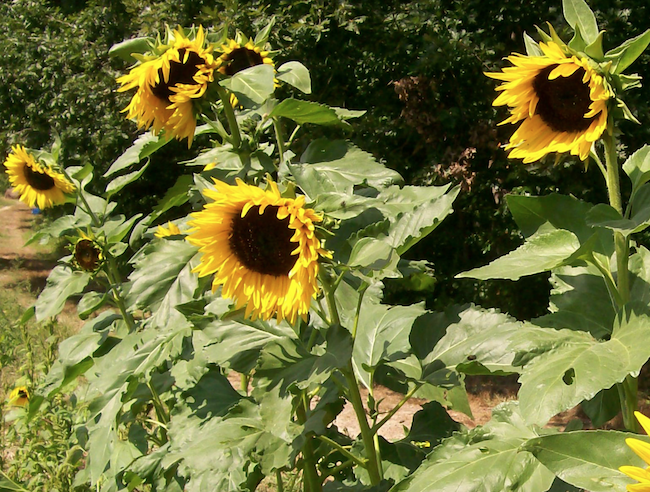 The sunflower is one of the many crops that was first cultivated by Native Americans. Evidence suggests that it may have been grown in what’s now Arizona and New Mexico as early as 3000 BC. In our edible flowers post we discuss its versatility as a food crop. 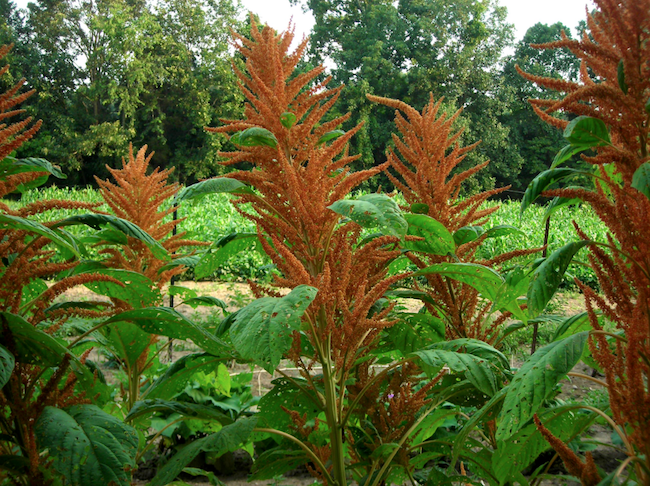 Like tomatoes, amaranth is in fact an ancient Aztec grain. It was so important it is estimated that it made up about 80% of the Aztec’s diet at the time the Spanish arrived. If you’re anything like me it can be tough to imagine a world without French fries but like many American crops, potatoes didn’t make their way into the European diet until the 16th century even though it is estimated that they were cultivated for over 10,000 years. Potatoes are actually indigenous to the Andes and were being grown in what’s now southern Peru and northwestern Bolivia when the Spanish were first introduced to them. It may not be an important food crop for humans but butterfly weed plays an important role for pollinators as the name suggests. It’s native to North America and adding some to your garden can help attract butterflies. Today in the United States tomatillos are largely overlooked except for the occasional salsa verde. However historians believe that they were probably a major part of both the Mayan and Aztec diets for at least 1000 years prior to Spanish colonization. Today sweet potatoes seem to be a bit underrated in the United States. 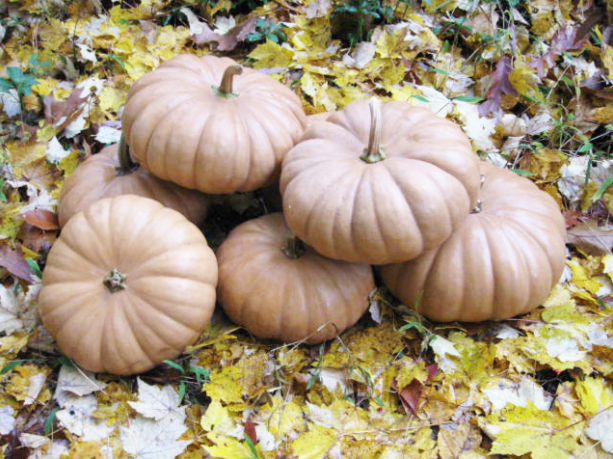 They’re mostly reserved for thanksgiving meals and we can find just a couple varieties on the supermarket shelves. However sweet potatoes have a long history. 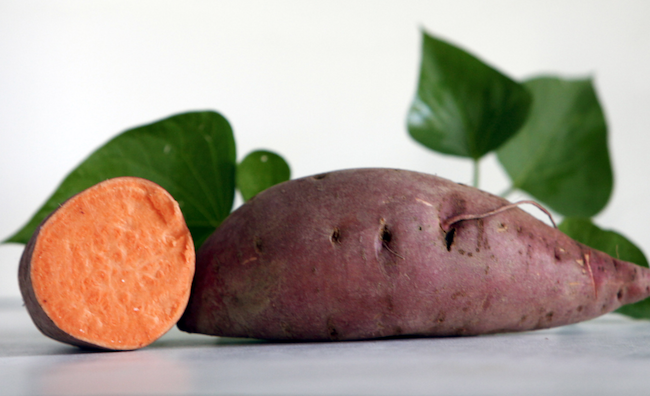 We know that they were cultivated in South America and the Caribbean by 2500 BC and that members of the Columbus expedition were the first Europeans to taste sweet potatoes in 1492. Interestingly, scientists were able to radiocarbon-date sweet potatoes to the Cook Islands (part of Polynesia) as early as 1000 AD. The working theory is that the Polynesians who have a maritime culture probably traveled to South America and brought sweet potatoes back with them. Peppers actually have a rather blurry history. Though we know that they were first encountered by Europeans during the Columbus expedition when they were domesticated and by whom is still unknown. On a broad scale peppers have long been cultivated in South America however it seems as though peppers were domesticated at different times by different groups. If you ask someone to guess where the tomato comes from they might guess Italy and because almost every dish you purchase in any Italian restaurant in the United States comes slathered in tomato sauce that really is a fair guess. However it’ completely incorrect. The tomato is actually native to South America and wasn’t brought to Europe until the 16th century! Though its history is relatively unknown it’s believed that it was being cultivated by the Aztecs in what’s now southern Mexico as early as 500 BC. Also called monarda or bee balm, bergamot was grown and used medicinally by many Native American tribes. It’s also a favorite of hummingbirds and butterflies. This is by no means a comprehensive list of American varieties. 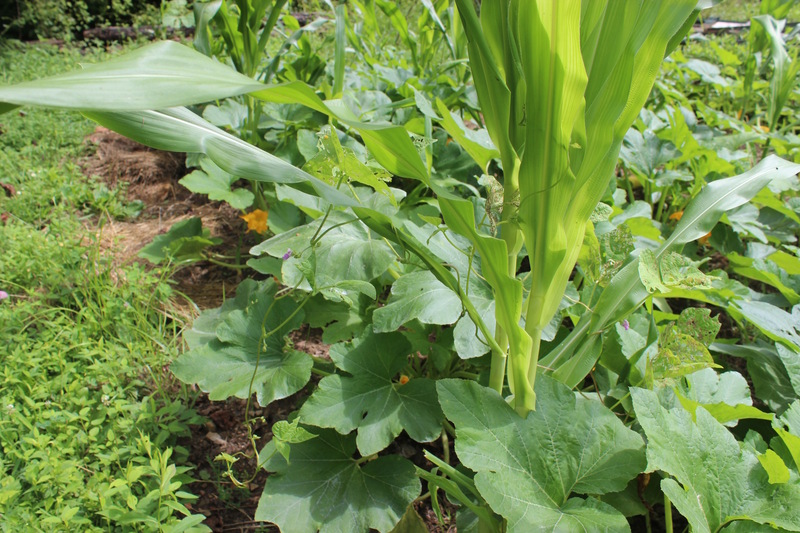 There’s the aforementioned squash, beans, and corn as well as a host of other crops like blueberries, papas, avocados, cacao, chia, and quinoa. These are just a few varieties whose history is often overlooked that can easily be incorporated into a family garden. 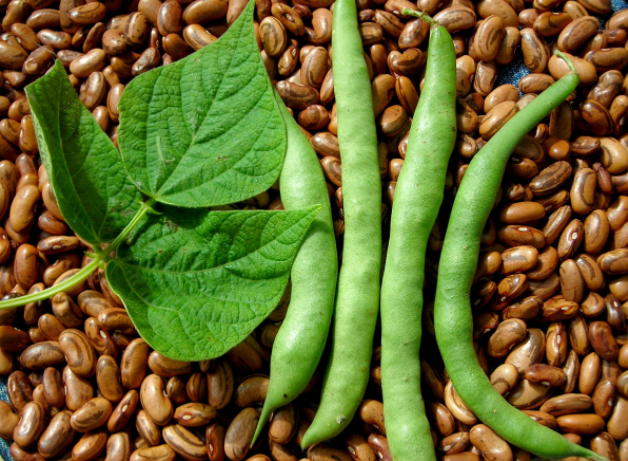 Growing, eating, and saving seed from these plants can help keep history and culture alive.